Flower spurting water into Thing's face. 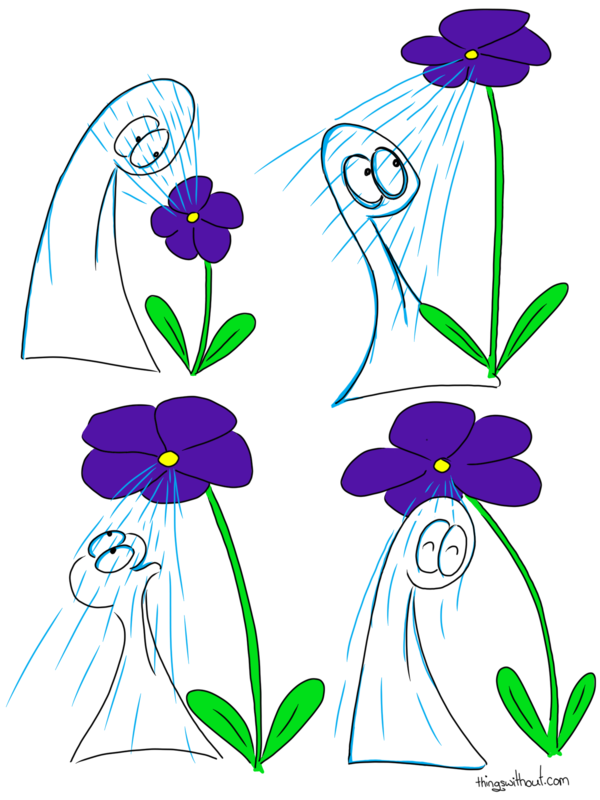 Flower growing taller and spurting water into Thing's face. Thing opening its mouth underneath the shower of water coming from the flower. Thing hanging out under the flower-shower and smiling. Once I finished drawing my comic I got up and had a BIG glass of water!